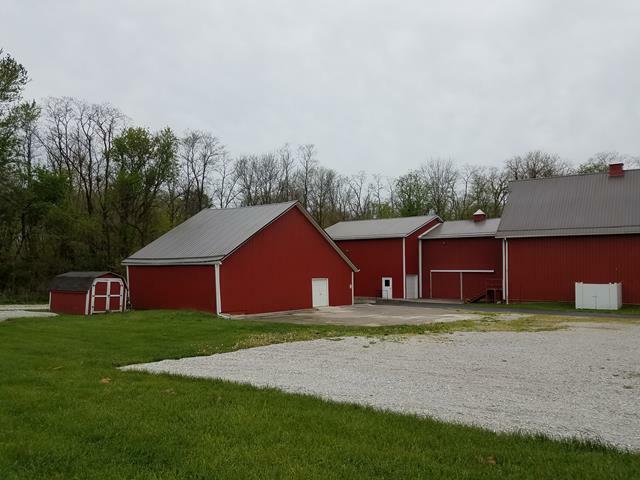 Putnam County Playhouse: THE LITTLE BARN HAS A HISTORY! When Mrs. Hazel Day Longden donated this property to us, it had two structures - the main barn and a smaller barn. 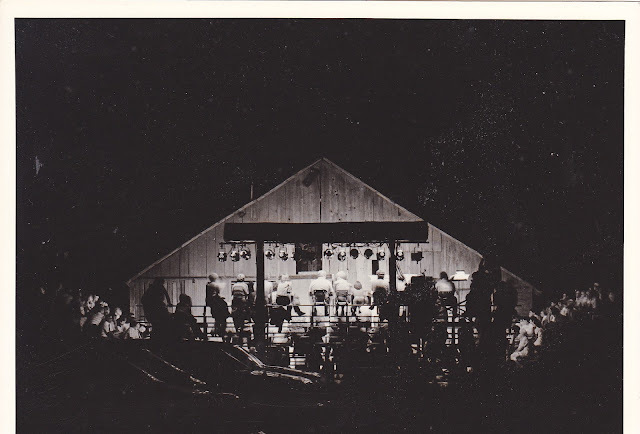 For the first two seasons in 1981 and 1982, we presented our show on the outdoor stage in front of the little barn. Bleachers were constructed for our audience members, and minimal lighting instruments were used. The dressing rooms were in the small barn. They were used until the construction of the Rehearsal Center. The outdoor stage was also used as rehearsal space and for special presentations such as the Children's Workshop. 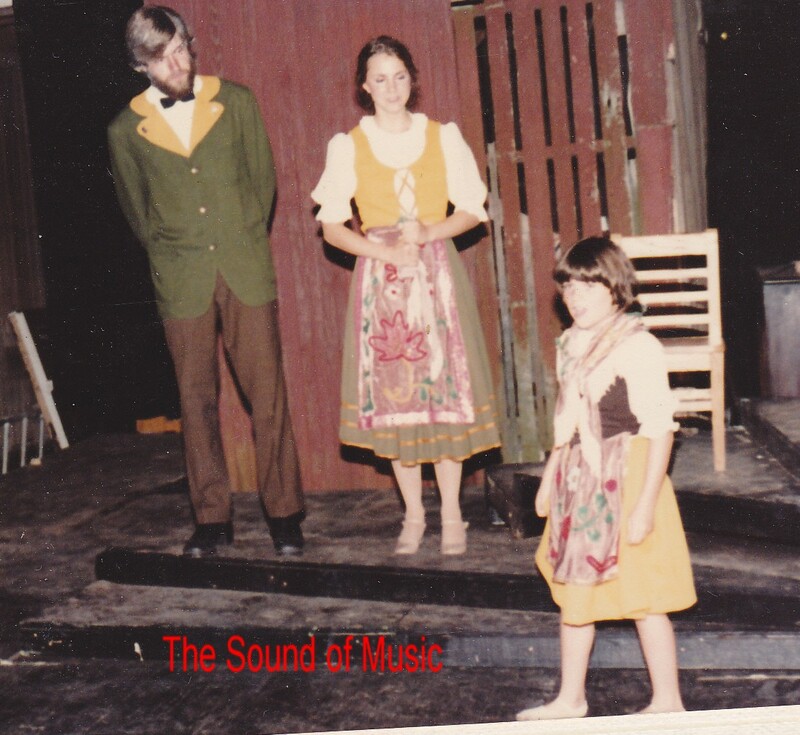 There was only one performance rained out in two seasons, the Thursday night performance of the musical The Sound of Music. 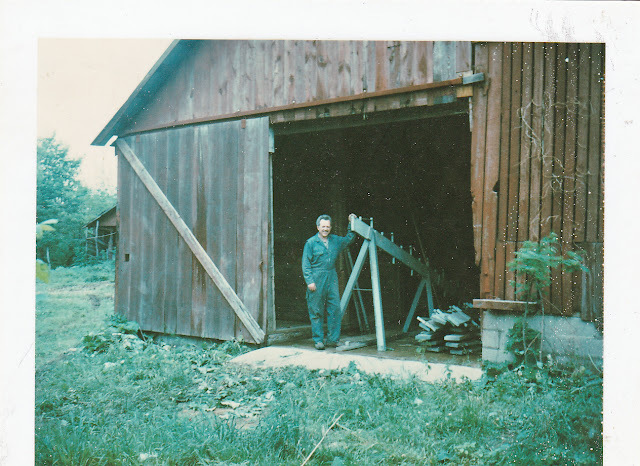 Jim Poor starts to assemble the bleachers inside the small barn. 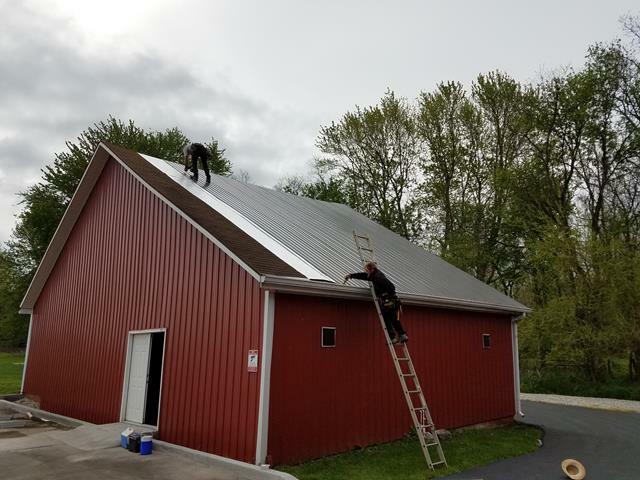 Recently, we did some work on the outside of the small barn to keep rain and running water from getting inside. It is now used as a storage facility for flats and large set pieces. We also added a new roof to the structure that matches the roof on the main barn and rehearsal center. 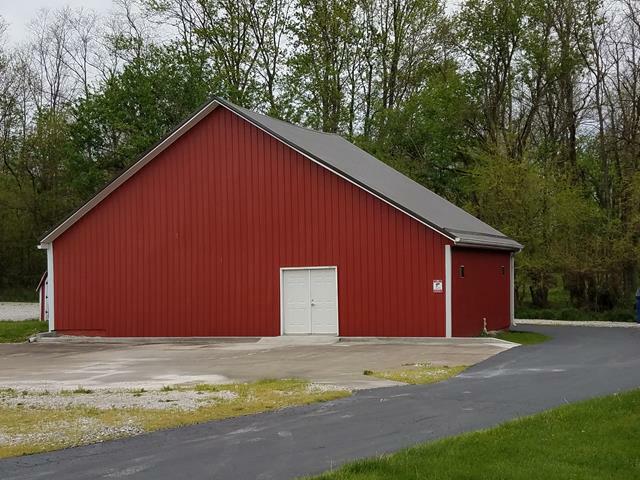 It is now a secure and waterproof storage place that is can be used for any large set pieces or other property that we don't have space for in the shop and prop areas of the Hazel Day Longden Theatre and Rehearsal Center. There was a time, however, when it was the center of all activity of the Putnam County Playhouse - two seasons still fondly remembered by many onstage and offstage.